More than 800 Xcel Energy employees, retirees, family and friends fanned out over four states last week to volunteer their time and give back to their communities during Xcel Energy’s seventh annual Day of Service. 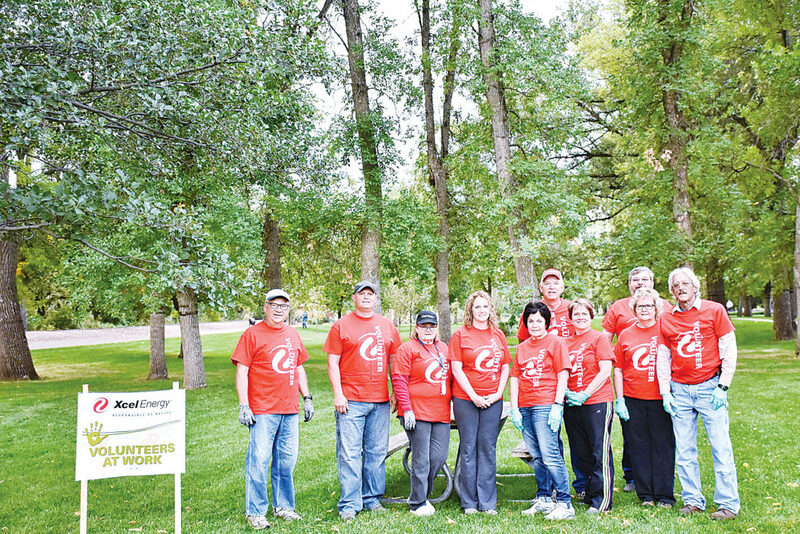 “We live and work in the communities we serve and as part of our commitment to being a good neighbor, we contribute our time to organizations that better all our lives,” said Chris Clark, president, Xcel Energy North Dakota. “Day of Service is our largest annual community volunteer effort and this year has been a tremendous success. It’s rewarding to see so many employees give their time and effort to such important groups in North Dakota.” In Minot, about 10 volunteers, pictured above, worked with the Minot Park District and helped paint and stain park benches and picnic tables at Roosevelt Park. More than 800 Xcel Energy employees, retirees, family and friends fanned out over four states last week to volunteer their time and give back to their communities during Xcel Energy’s seventh annual Day of Service. In Minot, about 10 volunteers, pictured above, worked with the Minot Park District and helped paint and stain park benches and picnic tables at Roosevelt Park.